Quick overview THE NEW YORK TIMES BESTSELLERRichard Dawkins - author of The Selfish Gene, The Blind Watchmaker, and The God Delusion - is one of science's greatest communicators. Richard Dawkins - author of The Selfish Gene, The Blind Watchmaker, and The God Delusion - is one of science's greatest communicators. This anthology of more than forty pieces is a kaleidoscopic argument for the power and the glory of science. Breathtaking, brilliant and passionate, these essays, journalism, lectures and letters make an unanswerable case for the wonder of scientific discovery and its power to stir the imagination; for the practical necessity of scientific endeavour to society; and for the importance of the scientific way of thinking - particularly in today's `post-truth' world. With an introduction and new commentary by the author, subjects range from evolution and Darwinian natural selection to the role of scientist as prophet, whether science is itself a religion, the probability of alien life in other worlds, and the beauties, cruelties and oddities of earthly life in this one. Alongside the explications, the celebrations and the controversies are wonderfully funny ventures into satire and parody, and moving personal reflections in memory and honour of others. 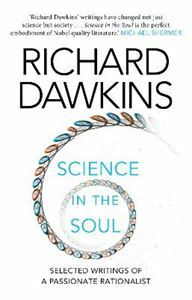 Science in the Soul is a sparkling showcase for Professor Dawkins' rapier wit, the clarity, precision and vigour he brings to an argument, the beauty of his prose, the depth of his feeling and his capacity for joy.